This is the Systemless Tunse'al Player's Guide for any system. Your game table needs both a system rule book of the GM's choice and Tunse'al Setting Guide, Systemless. There is a second version for Savage Worlds if you have the Savage Worlds rule book and would rather not deal with the work it takes to use the conversion system with the Systemless titles. The player's guide is excerpted from the full setting guide. It is not required for playing Tunse'al campaigns. However, having a copy means you don't have to wait for the GM to be done with her book for you to look up whatever was on your mind. This PDF contains a variety of information pertinent to character creation. You'll find the mechanical pieces to apply traits, skills, and other elements of character creation including races, drawbacks and advantages that are specific to Tunse'al, tribal details, an overview of the gods, select information about the lands, a map, and even a blank character sheet. 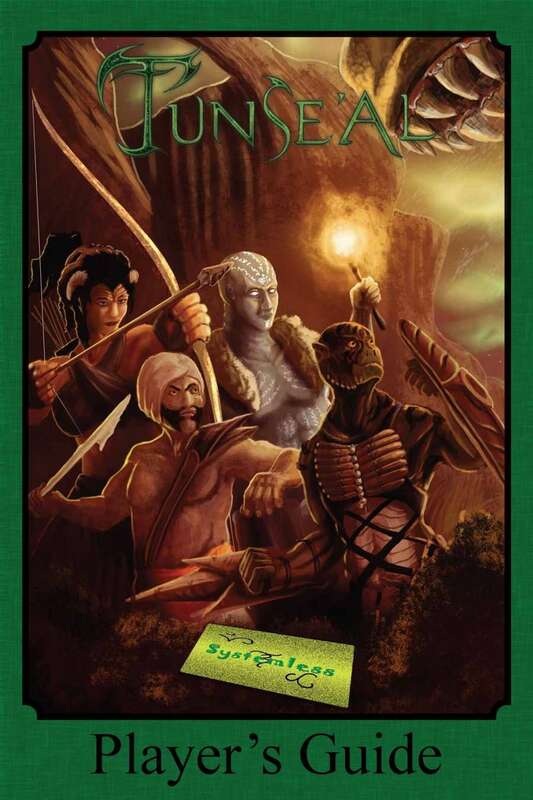 Please note: Tunse'al Player's Guide is formatted for 6"x9" layout.